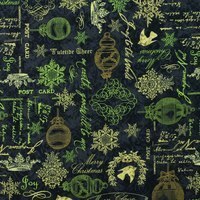 Holiday Flourish, Metallic Angel Fabric Panel 24"
This gorgeous Holiday Flourish Metallic Angel Fabric designed by Peggy Toole for Robert Kaufman Prints is the perfect backdrop for your Christmas decor or could be used, simply, as a radiant wall hanging. 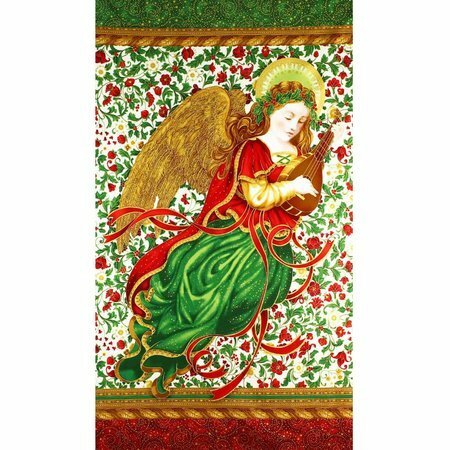 This heavenly angel has magnificent, metallic golden wings and is clothed in an elegant Christmas red and green dress dusted with metallic gold accents. She is wearing a striking holly crown while playing a lovely harp. 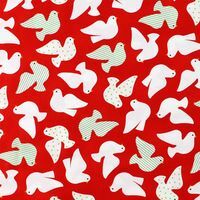 Surrounded by a sea of delightful red and white flowers with subtle metallic gold details on a cream colored background. A meticulous golden, wood-like border is along the edges as well as golden stars scattered on a green or red background on each end. 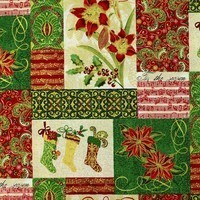 This fabric will make a wonderful addition to your home this holiday season. 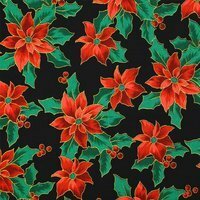 Customer Reviews for the Holiday Flourish, Metallic Angel Fabric Panel 24"